Ensure your comfort and protect the value of your home with high quality roofing installations. The exterior of your house is the most important part of your investment. A strong durable roof is your best protection from outside elements. It can also add aesthetic beauty which increase the value of your home. Clear Choice Roofing and Exteriors has experience in professionally installing and replacing residential roofing systems. 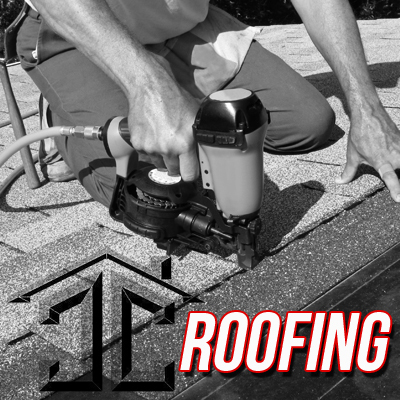 We are proud to provide excellent customer service and make your residential roofing successful and stress-free. It is important to us that you feel fully informed and comfortable before we begin on your roof. Our consultations and inspections properly assess what your home and roof requires. We promptly answer all your questions and provide timely communication of delivery and installation dates. We carry physical samples of every commonly utilized and high quality exteriors products on the market in a vast number of colours and styles. For insurance claims we work with you the home owner to meet your needs and install the best replacement product available based on your insurance coverage. Contact us today for your complementary inspection and appraisal, so we can help you select the right product for your home and your budget. Clear Choice Roofing & Exteriors is proud to offer the highest quality of products from two of the top manufactures in North America. Click on either of the options to see the material and colour options below. At Clear Choice Roofing & Exteriors, we have experience in professionally installing and replacing residential roofing systems. Whether your project is a remodel or an insurance claim, we will ensure that your receive the highest quality of work – and all our workmanship is back by our Lifetime Warranty! In order to ensure the best protection to your home from all outside elements, Clear Choice Roofing & Exteriors utilize the best products on the market, and this starts with the underlay. 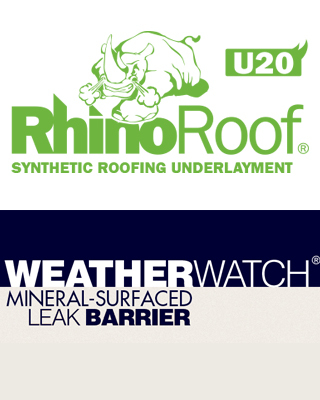 Dependent on the situation and budget of our clientele, we will utilize either RhinoRoof® U20 or WeatherWatch® Leak Barrier as their first line of defense from the elements. Both products offer superior protection from the elements by creating a seal that helps keep water out at the most vulnerable areas of your roof (at the eaves and rakes, in valleys, around chimneys, etc. ).